Our country enters a New Year with new hope and fresh expectations, ready to build on 3 years of economic growth. Indeed 2016 will mark the final full year of our home-grown structural adjustment programme, which up to this point has met every target, and has begun to bear fruit. Through your sacrifice and your understanding, we have been able to lay a solid foundation for a more secure economic future. Coming out of our performance last year — a more than 5% economic growth — the strongest in the Eastern Caribbean and one of the strongest in the entire Americas; and the creation of more than 3,000 new jobs, there is every reason to be optimistic, and to renew our faith in the Grenadian possibilities. The challenge we still face is to ensure that more people feel the effects of the growth we speak about; and that once and for all, we make a serious dent in rural poverty. Our economic policies continue to push and encourage more foreign direct investments that will create more jobs, as more and more projects come on stream. Our policies continue to provide incentives for growth in the productive sectors, including tourism, agriculture, the agro industrial sector, small manufacturing and the technological and service sectors. We are pleased to report that Project Grenada is in full effect, and people all over are beginning to see the fruits of their labour. A better society will be ours if we refuse to fight old battles or hold on to old hang-ups. Cynicism and rumour must not become common denominators of our political discourse. Suspicion must not replace faith; nor rancor be a substitute for respect. We need a robust, but informed political debate, where facts take the place of innuendo. That said, the biggest success of the structural adjustment programme has not been in all the economic indicators and the targets we have all proudly met, but in the partnership that we have built in this joint endeavour. We cherish the work of the social partners, and the insights and constructive criticism, the encouragement and the patriotism shown by civil society. Leaders of the trade unions, non-government organisations, business community, churches and the wider civil society have definitely answered the patriots’ call. We debate many aspects, but we always agree that this defining moment is history’s alert for all of us to build something worthy of inheritance by the next generation. For when the story is told about the Grenadian renaissance, let it be said that this current generation did not shirk its responsibilities, nor did the workers of this time shy away from sacrifice. We are encouraged that the debates of our time are not being won by those who shout loudest, using the fear of misinformation; but by caring and prayerful neighbours, who have a shared investment in the liberation of truth and the success of a progressive agenda. Reasonable people understand that progress is not an absolute, but it is continually assessed by society inching forward together, and lifting up the weakest among us. We understand that the job will never be done, but it does not mean that the current job can never be well done. This year, we will see more projects being undertaken, in addition to what was outlined in the 2016 Budget presentation. A number of Agricultural Feeder Roads Phase II projects are on stream or completed. Those include Beausejour–Willis (1.0 km); Plaisance-St Patrick (2.4 km); Celeste(0.30 km); and the construction of retaining walls in the Laborie–Confer area. The revised interim for completion of those roads is carded for the end of March 2016. We have also embarked on a number of projects to mitigate against disaster, under the “Regional Disaster Vulnerability Reduction Project.” Those include work on the Sendall Tunnel and the River Road Land Slip Mitigation, for which the construction of a retaining wall is already completed. By the end of January, we will see the completion of the road reinstatement component. Other such projects which are underway, and nearing completion are the Constantine Land Slip Mitigation and the Land Slip Mitigation at the Market Square in Gouyave. Regarding the infrastructure development at resettled communities at La Sagesse, St David, and Beausejour, St George, contracts were awarded in December 2015, and work will commence in February 2016. This year, we will see the beginning, continuation or expansion of other major private sector projects that will yield more jobs and opportunities for our locals. Those include, among several others, the Fire Rouge Villas, which will cater to non-resident students, at a projected investment of approximately EC$1.95 million. The Carib Sushi restaurant and the Sea Breeze Hotel, both in Grand Anse, will also be expanded. This past week, we saw the groundbreaking ceremony for the extension of the Mt Cinnamon Hotel project in Morne Rouge, which will more than double the size of the existing resort. Last week also, the Foreign Minister and other officials from the Government of the United Arab Emirates were on Island to assess the reconstruction of our House of Parliament building for which they have committed assistance. Quinn Construction Company was issued the contract for review of the terms and conditions. We are pleased to note that work is well underway for this project — a symbol of our nationhood. Sisters and brothers, we are on the move. I am happy to report that Grenada’s first-class Athletic and Football stadium is completed and scheduled to be reopened amidst a flurry of fanfare on Saturday, January 23rd. Work is also completed on the Grand Roy Playing Field and we continue to upgrade several other such facilities Island wide, for the benefits and constructive engagement of our young people. 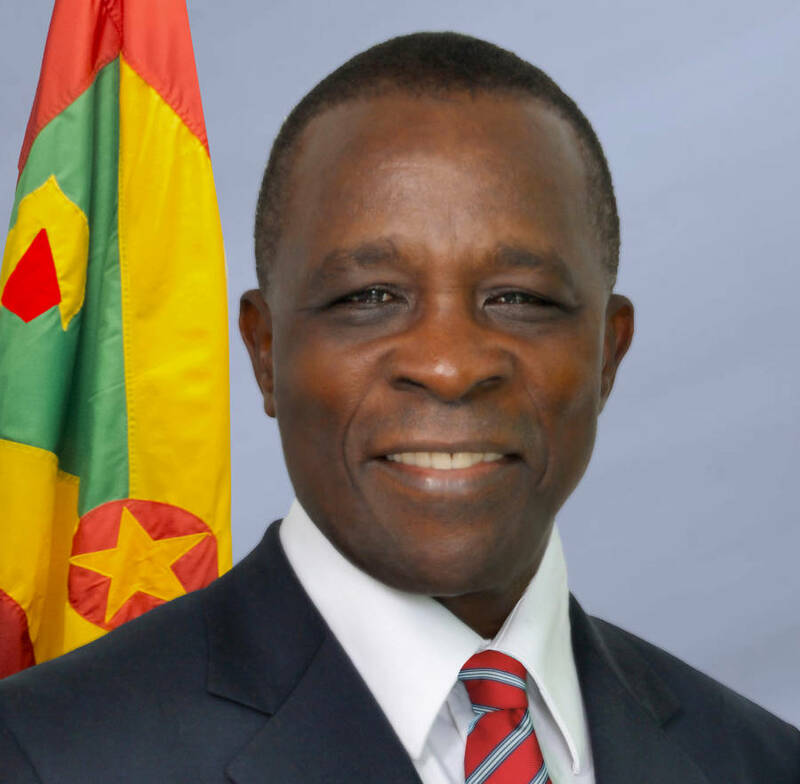 We thank the investors who have come on board for their confidence in this administration’s ability to manage the affairs of this country, and for the acknowledgement that Grenada is still a destination of choice and a good place to do business, despite some minor issues that are consistent with any developing country. As Minister of National Security, I continue to applaud the work of our men and women in uniform. I am fully cognizant and satisfied that they are aggressively working to control any issues which seek to undermine our reputation as the safest place in the region—for locals, as well as visitors. Sisters and brothers, our tourism industry continues to be an area of great encouragement. The projections for the year will see an uptick in stay-over visitors, and millions more in earnings. Major events, such as the Pure Grenada Music Festival, CARIFTA Games, the CONCACAF Under 17 Women’s Football Tournament, and the Tradewinds regional disaster management exercise will bring thousands of additional visitors here to our shores in the first 6 months of this year. There is increasing airlift to Grenada, and airlines such as JetBlue and Delta have expanded their operations. More people are seeing Grenada as a destination of choice. Our traditionally warm and friendly setting are now being buttressed further by an increasingly stable social and economic environment. Grenada tied with four other countries for the second highest ranking in political and civil rights. Brothers and sisters, as we seek to perfect our modern democracy, enhancing our constitution remains an issue of our time. None of us who is worthy to be called leader must embark on an unholy campaign to derail this yearning on the altar of short-sighted and naked political calculations. Administratively, we will seek to further fine-tune the operations of government for greater efficiency and better delivery. That process has begun in the Ministry of Finance which I head, brought on in part by the pending departure of our long-serving Permanent Secretary, Timothy Antoine. Mr Antoine, as has been announced, has been appointed Governor of the Eastern Caribbean Central Bank — an appointment that has made us all justly proud. Timmy’s life in public service here in Grenada should be a model for all public servants. He has shown us all that the Grenadian public servant can be efficient and professional; devoid of political agenda, and willing to work with any administration for the betterment of our people. His elevation is God’s reward to a true and faithful servant of the Grenadian and Caribbean people. And so in the coming days we will have a new Permanent Secretary in the Ministry of Finance. We have recommended to the Public Service Commission to elevate Mr Mike Sylvester to act as Mr Antoine’s replacement. We have every confidence that Mr Sylvester, who has been an integral part of the team that has guided the ministry in recent years, is a fitting replacement. Consequent also to Mr Antoine’s ECCB appointment, several internal promotions will take place in the Ministry of Finance, contingent on the approval of the Public Service Commission. Ms Kim Frederick, the Chief Budget Officer, has been recommended to be the Deputy Permanent Secretary; and Mr Kerry Pierre, Budget Officer, has been recommended to be the Acting Chief Budget Officer. We are also moving aggressively to add an Economic Adviser, Debt Management Adviser and Macro Planner, with the support of regional and international organizations. As we move into the final half of this current term of our administration, we are also looking closely at making some executive adjustments by the end of the first quarter. This we will do with three reasons in mind — to further fine-tune the workings of government; to afford people different experiences; and to allow some ministers more time for deeper interactions with the people who had sent them to the Parliament in the first place. There are two major initiatives that this year, must be given additional attention, because we believe that they are fundamental to enhancing the position of the Grenadian worker. One is the issue of the State pensions for Public Officers, which we accept is a matter of enormous national importance. Recently Government faithfully paid up, in execution of the constitutional decision of the Court in respect of the pension issue brought before it by retired public officer, Ms Hermilyn Armstrong. Nevertheless, we are ever aware of the enormous financial implications for other workers, as this matter dates back 33 years, and now poses a challenge to any Government. To that end, Government representatives are meeting with the Trade Unions on Wednesday of this week to discuss several issues which include Pension reform and a formula for the way forward. At that meeting, we will also discuss payment of salary increments; salary negotiations and public sector modernization. The other major initiative that we are determined to complete is the framework for the establishment of a National Health Insurance Scheme. The recommendations of the Advisory Committee, chaired by Senator Chester Humphrey, were accepted by the Cabinet. Draft Legislation and the engagement of a Health Actuary, financed with a grant from a friendly Government, is now under consideration, and soon a working draft will be available for engagement by the social partners. Under this scheme, every Grenadian citizen would be covered. A gamut of health services has already been identified by a sub-committee consisting nominees from the Medical Association. The issue of our nation’s health is central to national development. Indeed in 42 years of independence, the challenge of a better health care system has remained with every single administration. We accept that there are neither easy nor cheap solutions, but we are determined more than ever to aggressively address all the objective and subjective realities that have left us less than satisfied with where we are at the moment in regard to healthcare. There are also two issues that are of current public health concern — one is the issue of swine flu and the other the new Zika virus — with cases being reported in sister Caribbean nations, such as Trinidad and Guyana. We are satisfied that the Ministry of Health, led by Minister Steele, have begun to aggressively look at measures to first ensure that we guard against outbreaks here, and secondly, to have contingency plans to deal with them, should there be any. The Ministry of Health is continuing to issue various bulletins in these two regards, and we urge the nation to pay attention to those. I take this opportunity in this New Year’s address to publicly thank my team of ministers, who continue to work against many odds, and with deep personal sacrifices in the interest of the nation. We are all humbled by this noble opportunity to serve; and as people of faith, we accept that it is our calling to do it truthfully and fairly for the Glory of God and the upliftment of His people. We see our time in service as a blessing; understanding that our parents, and the forefathers of this nation had even greater challenges which they overcame. And so, together as a nation, we must continue to build on this foundation that was laid with honour, dignity and hard work. We, as a Grenadian people must never fear the future, but must completely embrace its possibilities. Tonight, I say to you, fellow Grenadians — Behold the Grenadian future! Let’s build it together. I thank you very much — and may God Bless our Nation.